A little while back we announced our new website and are continuing to delve through all of the new plans and features. Last time, we took a look at the brand-new Simple Starter Plan. So, over the next few weeks we’re going to look at all of the new plans and new features made available in the updated client area to make managing your hosting services even easier. Today, we’re focusing on UX improvements. With the new site we really wanted to improve the way you interact with the client area to make more tools easily accessible to you and make your experience more intuitive. It may not seem like much, but quick, easy access to most all of your client area features from one menu really helps cut down on the amount of clicks you need to make to get to access what you need to access. To limit the need to scroll, the menu will follow along with you no matter where you are on the page. This saves you valuable time. The new site and client area is fully responsive–meaning the site will scale to the size of most any device you’re using for a better viewing experience. This makes for convenient access to your account services whether you’re at your desktop or on the go from your mobile device. Placing new orders is now easier than every and more intuitive. The order form is fully responsive, so, even if you need to order new hosting services for a client while on the go, it’s now easier than ever. 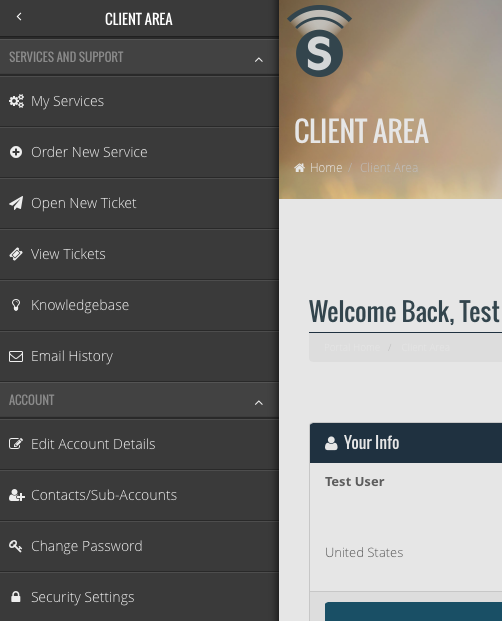 Today we’ve looked at UX/UI improvements to the client area. Next time we will be delving into how we made managing your hosting service even easier. Thanks for tuning in! A while back we announced the launch of our new website. We’ve been busy, but we did want to highlight some new features and plans to bring them to your attention in the coming days. One of the new things we announced was the totally new plan offering we’re calling the Simple Starter Plan. The Simple Starter Plan comes with many of the same features you’ve come to love and expect from our other offerings–built on top of the rock solid performance of our enterprise-grade SSD cloud, and ready to host your Joomla, Wordpress, or other App site. So why the new plan? We know that there are many of you who don’t need all the bells and whistles that come with our Simple Hosting Plan and certainly don’t want to pay for the additional account specs you’re not going to use. "Pay only for what you need”, has always been a guiding principle of our offerings. Since our inception, we have sought to provide flexible plans that help keep your bottom line in mind. So, the new plan is meant to be an entry-level offering, focusing on people with less spec needs. We know that many of you are using third party email services these days. Whether it be google apps, exchange, zoho, or a freebie service like gmail, why should you pay for email when you already have email? So, the Starter Plan is “bring your own email”. It, like our other shared plans, is hosted on top of our speedy SSD cloud, crafted with care, including: Varnish Cache and NGINX, CloudLinux OS, our firewall, malware detection, two-factor authentication, our diverse–world-wide network, and comes Cloudflare ready. Oh, and did we mention the plan is only $60 per year? At ONLY $5/month, The Simple Starter Plan makes for the most feature rich and affordable plan we’ve ever offered. See our shared hosting page for full details and information about the Simple Starter Plan. Today we launched a new site design at getsimple.net aimed at providing a better overall user experience. The new site features a modern, responsive design in both the main area of the site and the client area. 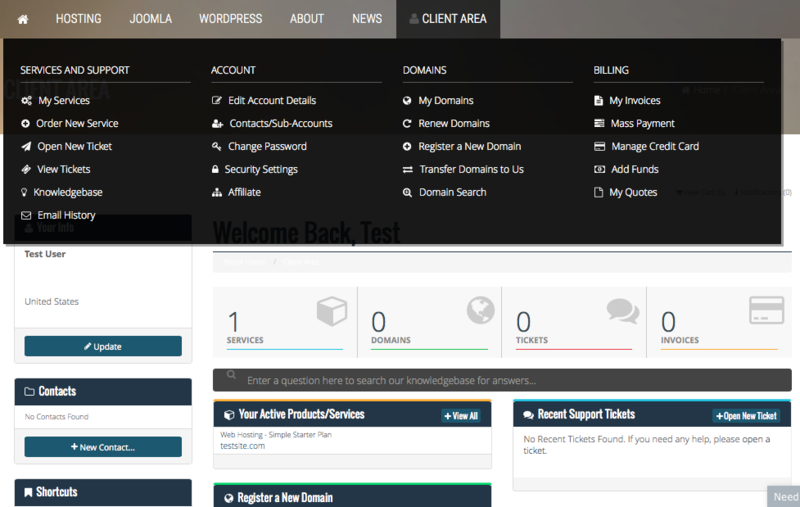 The new client area boasts several new features that make managing your hosting service even easier. We added new hosting plans including a starter web hosting plan and a new segment of plans we’re calling “Hosting Complete” directed at Joomla, WordPress, and other App hosters that are looking for a true end-to-end hosting experience to service their website. We’ll be featuring the new plans, site, and features in more depth in coming days, but for now, take a look around and enjoy the new site and services!